These are vintage acrylic beaded drops. 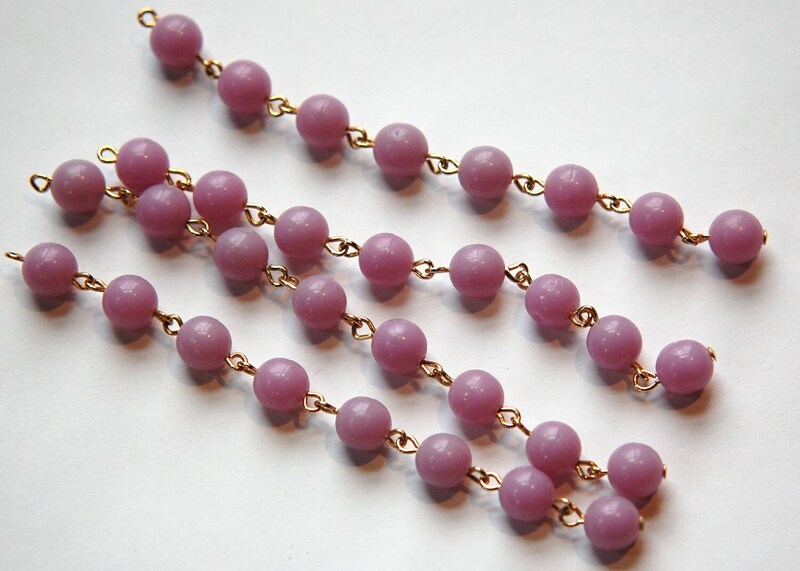 The beads are a lavender purple color. The links are gold plated. The beads measure 8mm. There are 8 beads per strand. Each piece measures 100mm long/4 inches. You will receive 4 pieces. These are so useful, a nice color. These are perfect and I'll need more! great -- thanks! ... ..